Why Do Paint Contractors Offer Such Different Bids On a Project? It can feel so frustrating when you’re trying to find the right company or paint contractor for a job and get wildly different bids. Especially if you aren’t an expert– or even a novice– in the task at hand, it can be hard to know if you’re getting a good deal on quality work if you don’t even know why the bids your getting fall into a certain range. You might even wonder if the contractors you’re making inquiries with are as good at math as they are at, say, painting your home or business. Fortunately, we can shed some light on the bid process, and why you might have gotten such wildly different numbers. Cost of materials. This can vary not only by quality, but also availability. Lumber, for example, is pricier now than over the summer because of the multiple hurricane and wildfire recovery efforts around the country that have put wood in high demand. Experience and availability of workers. If you’re trying to find a plumber during a cold snap when more people than usual have frozen or burst pipes, you might find yourself paying a premium. 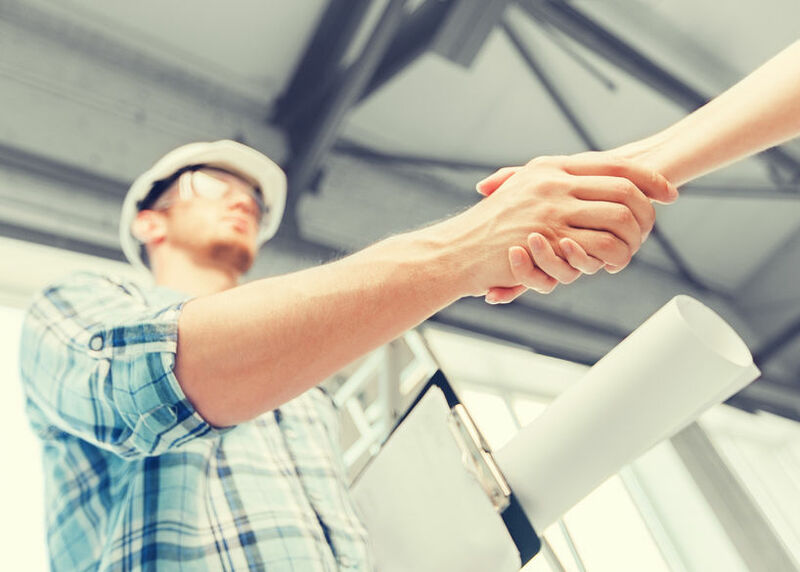 Or if your project involves specialized skills like plastering or tile, your contractor might have to factor in a more experienced’ team member’s higher per-hour price. Workers’ comp and liability bonding can differ from policy to policy, just like you might get a better deal on your car or homeowners insurance than your neighbors. How big a percentage of your bid goes to workers comp and insurance might depend on the size of the company you’re working with, their safety history, or the complexity of your job. There’s a bigger likelihood of damage or accident occurring during tree removal close to a house, for example, than while painting a bedroom. Different contractors might take completely different approaches to the job. One painting company might feel you don’t need two layers of primer to cover an especially dark or vivid red color. Another might feel two coats of primer are necessary, along with two coats of paint. That can result in a variation in cost of materials and the amount of labor the contractor thinks the job will require. The contractor’s interest in the job. If the project you have in mind comes at a bad time, is too small to generate much income, or might keep the contractor unavailable from larger, more lucrative, or more interesting projects, that could impact the price. Some companies might charge a client more if they’re worried the work won’t be worth it for their bottom line. Location. You know where your home or commercial location is, but do you know where your contractor is coming from? If they have to travel a greater distance, or know there will be a lot of back and forth to far-flung suppliers, those costs can be factored in to the bid as well. Cash vs credit. Some contractors might give you a lower or higher price depending on what forms of payment they accept, and what fees it costs them to offer credit card processing or other bookkeeping services. As you can see, calculating a bid comes down to a bit more than the cost of paint and the time of the workers on the ladder. When you add in human error and the fact that any bid is only an estimation of what the final cost of time, effort, and materials might be, the bid you get also reflects on how much experience your contractor has in developing bids. A newer company not as experienced in bookkeeping might be more cautious and build in a larger cushion, for example, to account for the unexpected. A company that has been in the business for a long time might forget to factor in the cost of new regulations that didn’t used to be in place. In the end, a reputable company will do the very best it can to come up with an accurate bid that works for their expenses and your budget. See what others have to say about a contractor before you commit, using review sites or resources like the Better Business Bureau. And if you have a question about one of the bids you’ve received, just ask. A company like Scott Brown Painters will be happy to help you understand exactly what you’re looking at before you sign on the dotted line.